Several years ago we lost some rather large trees to a storm, so I've been coming up with creative DIY projects and asking my husband to cut me stumps for the run for our chickens to stand on in the winter and more stumps to make the chickens an awesome dust bath spa area. Last fall I used a fallen limb to make a chicken swing. 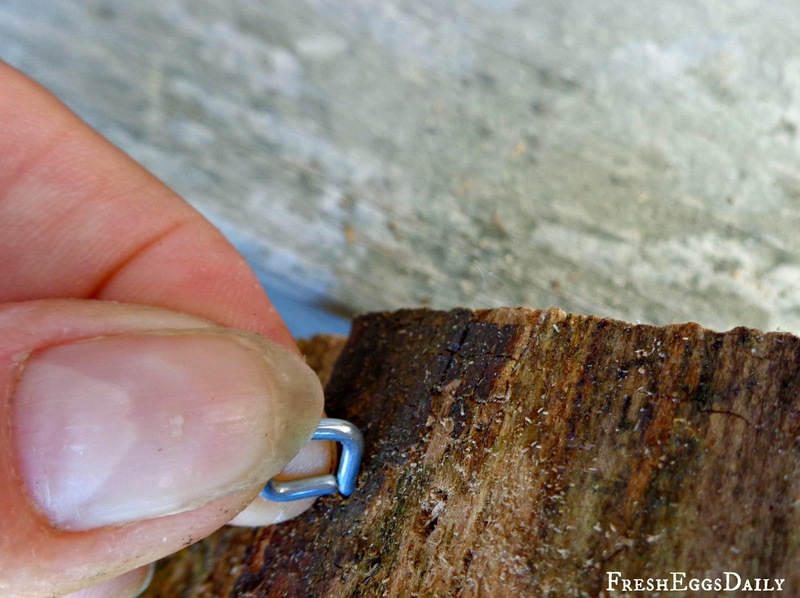 But my latest DIY project required only a thin slice cut from the fallen tree. Check this awesome Chalkboard Sign I made! 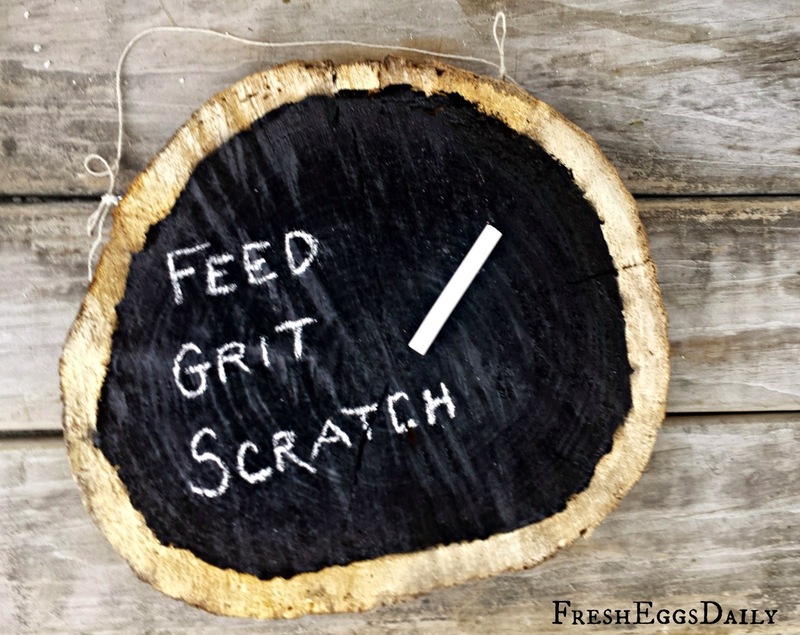 The sign comes in handy to use to keep a list of supplies you need to buy, or to track how many eggs you're collecting each week. 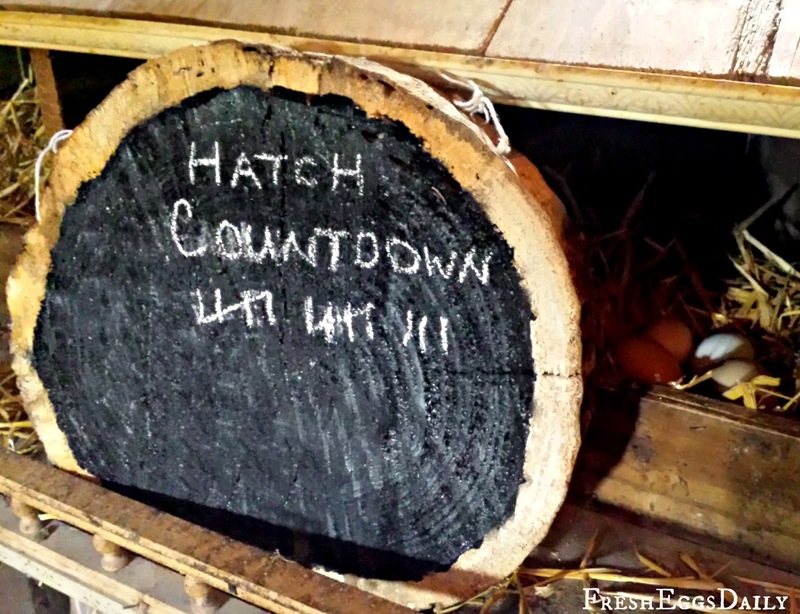 You could even use it to count down the days until eggs are due to hatch or as a reminder of your chickens' names or the daily routine for a sitter if you're going on vacation. Sand the front side of your slice for a nice smooth writing surface, if necessary. Tape around the outer edge, leaving a one inch border, then paint the front surface with the chalkboard paint. I applied three coats, waiting about two hours in between each coat. 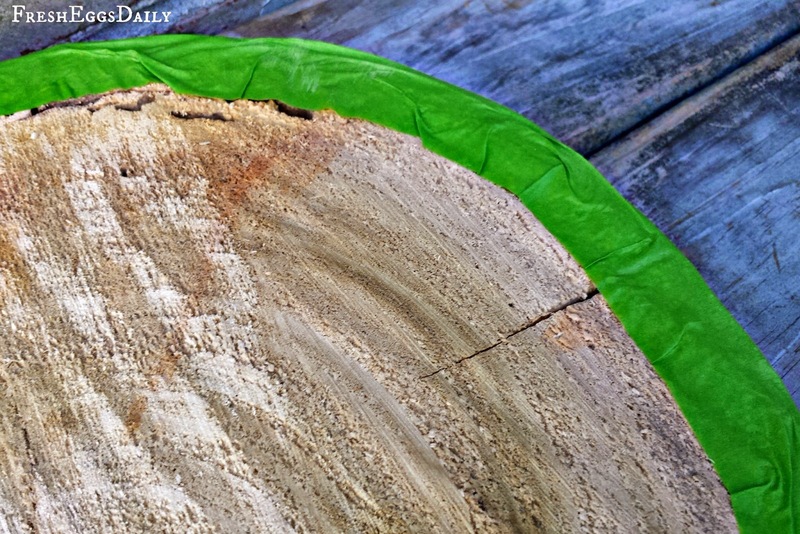 Once the paint is completely dry, remove the tape. 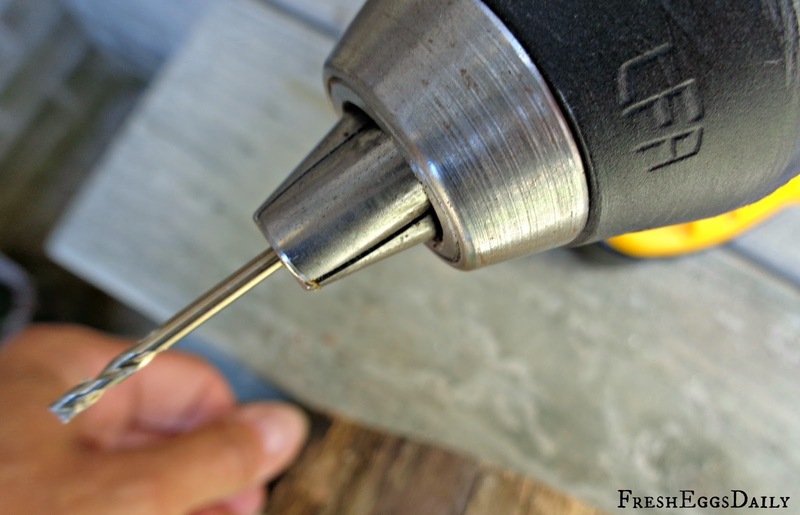 Drill a small hole on either side of the top outer rim and screw in an eye hook into each hole. 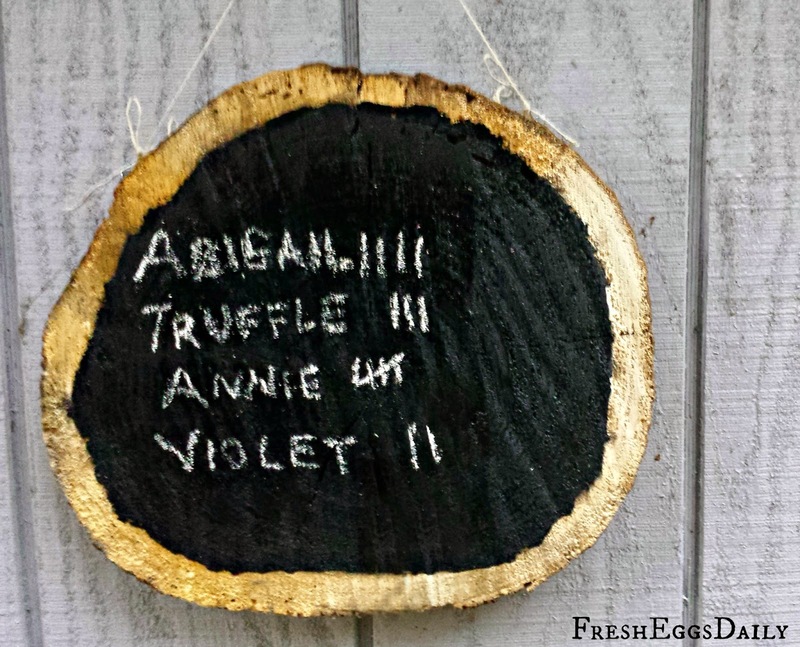 Attach a length of twine so you can hang your chalkboard. And that's it, you're done. Hang your sign up in your coop. Wipes clean with a damp cloth or sponge. 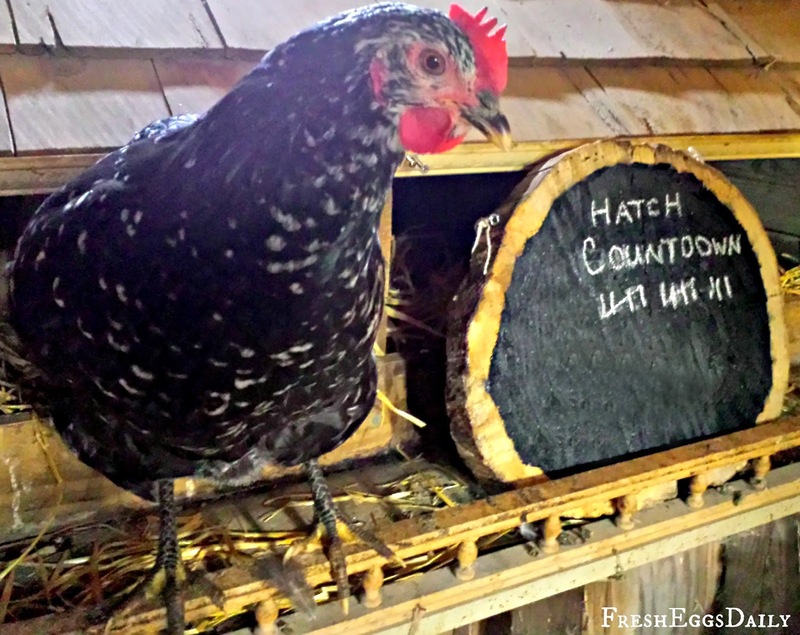 If you have any other ideas for a chalkboard coop sign, I would love to hear them! Have subscribed to your site in my reader for quite a while, enjoy the posts! Well thank you Mike! 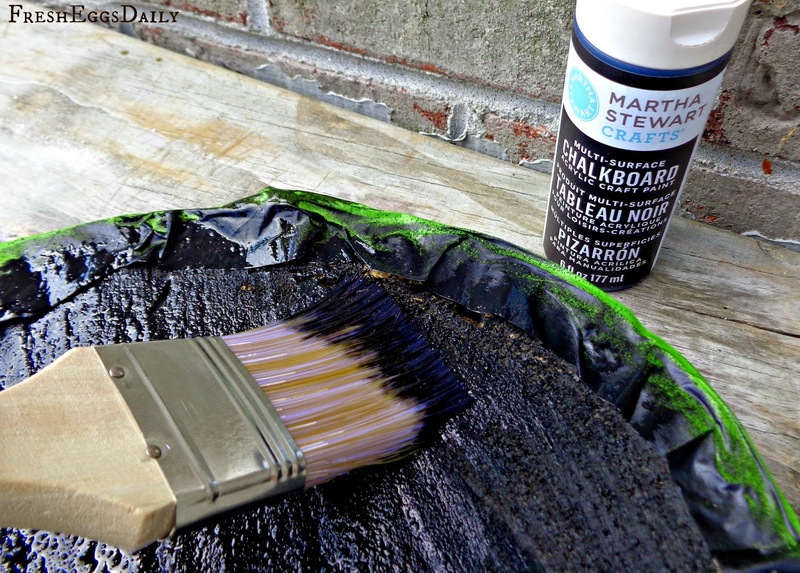 I've used chalkboard paint on a few other projects, but now it comes in different colors too! Your craft store might carry it. 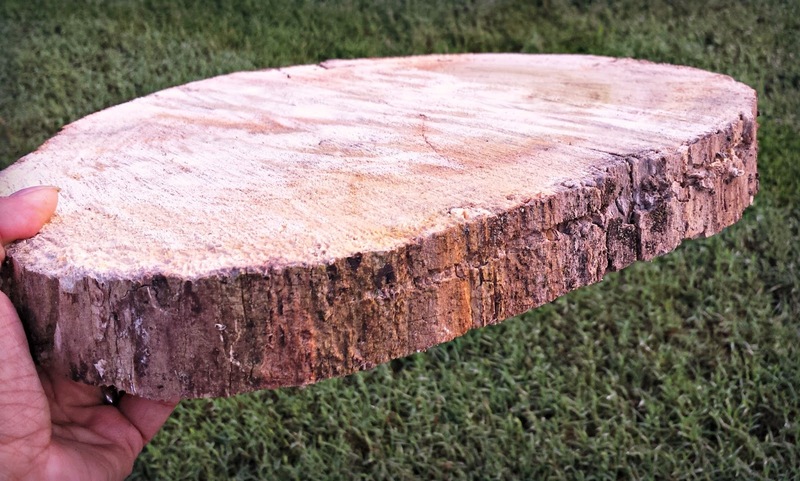 When watching the next door neighbor get half of an oak tree that had died cut off I noticed one pied that was cut flat on one side and then the guy sliced it at a 30 degree angle on the other side. I got that piece and am waiting for it to cure. Then my wife is going to paint a pelican on it and we can put it out next to the Koi pond. So I guess it's a project for next spring. While I'm thinking about it, it would be good to sand and shape the base to a pedestal form. We've gotten chalk board paint at Lowes before. So I imagine Home Depot carries it also. 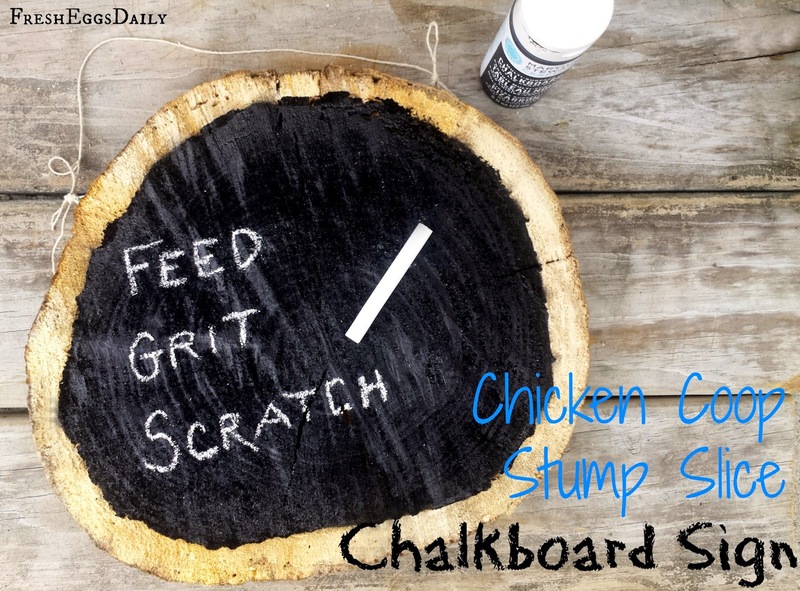 Great use of your chalkboards!! I love using wood, but I'm not too handy with the cutting part or tools. Going to work on that now because I love how yours turned out! OMG best idea ever! Love it!!! I need to go find some stump slices! Thanks for sharing! come visit sometime.